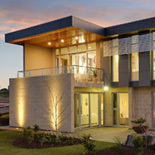 Selected, award winning, local and Adelaide builders have constructed Australia's most sustainable and energy efficient display village at Beyond Today. The display village demonstrates a range of construction styles and selection options while providing exceptional outcomes with respect to efficiency. 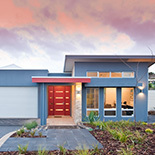 The techniques displayed by selected builders can be modified to your tastes and needs, offering an easy and affordable route to energy efficiency. Homes within Beyond are not limited to these display options and may be individually designed. For this purpose we have also selected a number of SA's best architects who can help you design your dream home while incorporating the design elements required to achieve a high level of sustainability. Information on these architects will be displayed from within the Beyond sales and information centre, at the entrance of the display village. All the builders and architects selected have demonstrated a desire and ability to meet the high energy efficiency standards, whilst providing a high level of service and finished product. Beyond is open to other builders, designers and architects and it is at the purchasers discretion whether you wish to use the builders and architects selected. 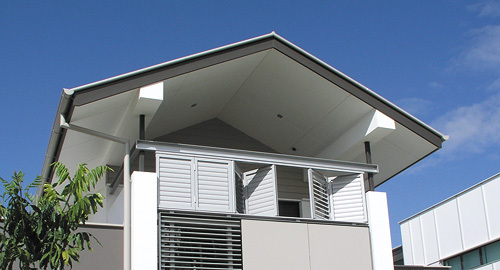 It is required that whomever the preferred builder, designer or architect is, that they design and build within the criteria of the design guidelines. 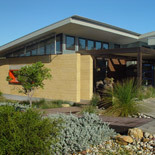 The display village will be officially opened in early March 2009.